For nearly 40 years, Precious Moments has been creating gifts that celebrate caring, sharing, and love. Precious Moments wants to share the care with their Care Bears line. Celebrate with everyone’s favorite bears from Care-A-Lot! I was beyond thrilled to be chosen to work with both of these childhood classics. 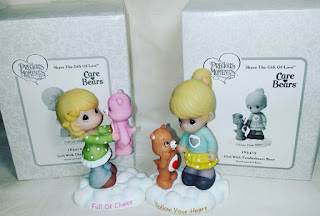 I absolutely loved Precious Moments & Care Bears when I was a girl. To introduce my daughter to the collection I let her pick the two we would get. 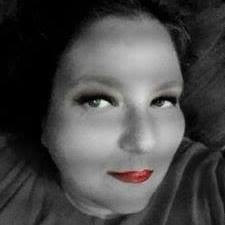 After careful consideration she picked from her heart the ones that were perfect for her.. Sarah picked Full Of Cheer and Follow Your Heart. When you look at each of these hand-painted resin figurines you can't help but feel joy and smile. We really like the way they connect together while walking on clouds. They are just so lovingly detailed. My daughter, Sarah, has already requested each of them to complete the set. These are a great way to mark a moment in time or even a holiday. That is my perfect plan for the other four in this set. With Easter just around the corner and her birthday soon following. 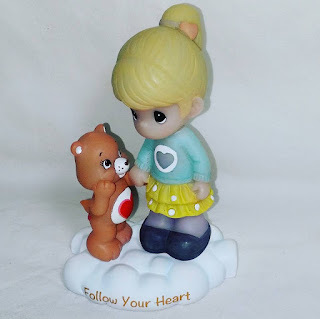 Precious Moments & Care Bears are new to the line but looking through the catalog there is so much more that you will have no trouble picking one to bring into you home. The adorable sweetness will become a treasured heirloom passed down from generation to generation. Who can resist those sweet faces!